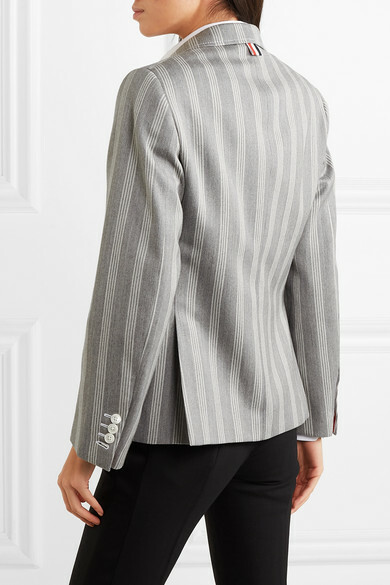 Thom Browne is fascinated by uniforms and keeps a strong signature running through each of his collections - look for the striped grosgrain tab at the back of this blazer. 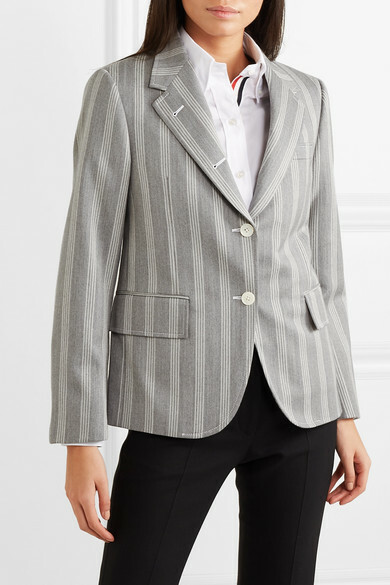 Designed for a slightly shrunken fit, it's been tailored in Italy from smooth wool and cotton-blend. 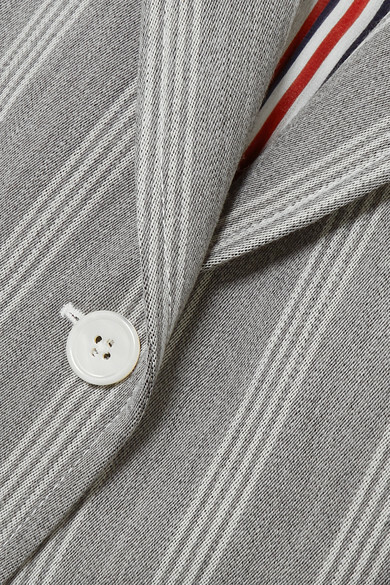 The button holes extend right up to the lapels though the mother-of-pearl buttons only appear at the front and cuffs. 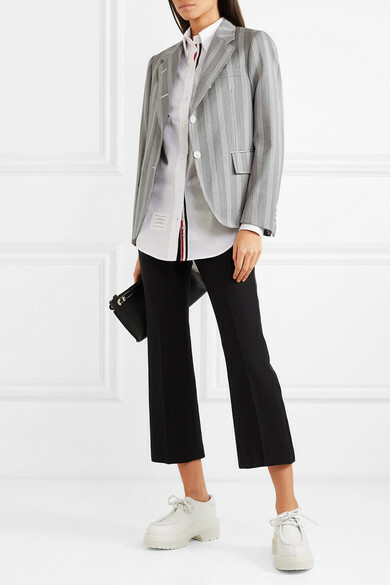 Shown here with: Thom Browne Shirt, Alexander McQueen Pants, Loewe Shoulder bag, MM6 Maison Margiela Loafers.